Jane Austen. Dystopian. Two words you don’t hear together in a sentence very often. I know this book was published some years back, so this review is quite dated. I still wanna do it though, because I thought it was a really good book and it’s the kind of underrated goodness that I want people to read. For Darkness Shows The Stars is a retelling of Persuasion, with a twist. I haven’t read Persuasion before this, but from the first page, I knew that this was going to be good. It’s not some butchered piece of literature a la Pride and Prejudice and Zombies. This book actually took some time to build a really interesting world that reflects our own. Elliot North is this book’s iteration of Anne Elliot, a hardworking girl struggling to keep her family’s estate afloat. As Luddites, Elliot and her family have been tasked to take care of victims of a gene mutation collectively called the Reduced, but each year proves to be harder than the last. One day, a group of Post-Reductionist inventors, The Cloud Fleet, comes to their estate for business. And guess who they bring with them? Captain Malakai Wentforth, who suspiciously looks like her long-lost love, Kai. Angst and old feelings of love, heartbreak and regret ensue. I loooove books like this. Long lost loves and second-chance romances? Sign me up! Just shut up and take my money. But heartbreak isn’t the only thing that I loved about this. First, the world-building was great. I appreciate authors who really dig deep and build a world from the ground up. I usually don’t like futuristic dystopian settings (I’ve had one too many Hunger Games copycats) but this one was actually unique. And more than that, the future society depicted here is a very thoughtful take on how our present society works. I thought Elliot North was a strong character; she’s a hardier version of Anne Elliot and I love her. She’s not pretty and she knows it. She works with her hands and does whatever she can to save their sinking estate, even if it meant sacrificing Kai. I love the characters around them as well, especially the Cloud Fleet. They’re these futuristic equivalents of the Persuasion’s original supporting crew. Although they’re really different, they also have a lot of similarities. The author really took her time to craft these characters. I am also a big fan of slow burns. Elliot and Kai’s story is one great slow burn. Simmering, beautiful slow burn. They get to re-discover each other after many years of estrangement. Kai is a harsher version of the original Captain Wentforth but it’s all worth it in the end. Perhaps the only thing I can critique is that there isn’t more of this. It does have a companion novel called Across A Star-Swept Sea (a retelling of Scarlet Pimpernel) but I really want more of Kai and Elliot. All in all, a really satisfying read. 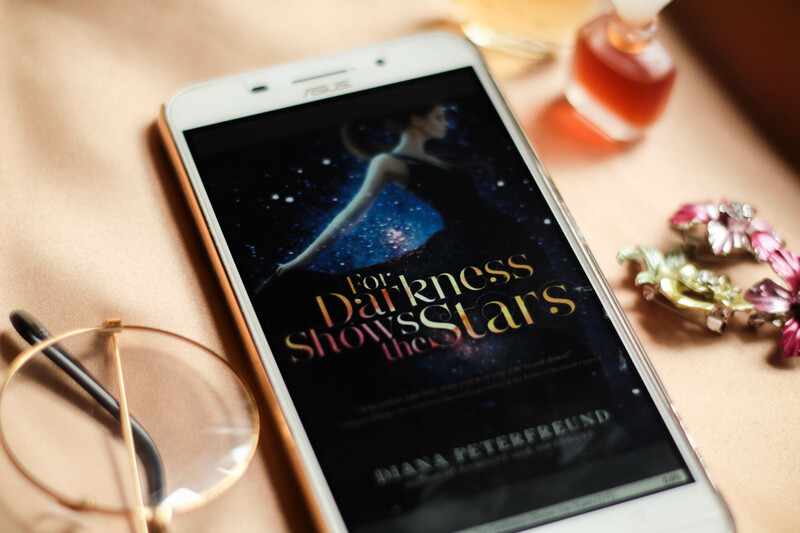 Have you read For Darkness Shows The Stars? What did you think? Let me know in the comments below!